The SPFBO is a great opportunity, both for authors to show their works off to the world, and for readers to discover some hidden gems. 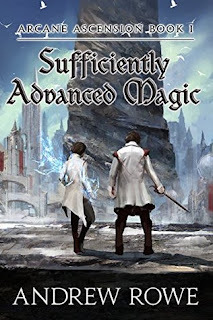 The 3rd SPFBO is now in its final stages with the 10 finalists having been chosen, and the 10 bloggers steadily reading through each and handing in their final scores. 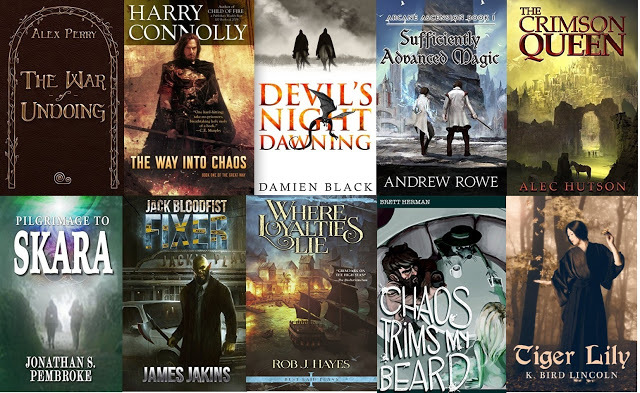 All 10 finalists from the 3rd SPFBO have teamed up to offer everyone a chance to win each of their books, and Mark has kindly agreed to host the giveaway, seeing as the SPFBO was his idea to begin with. 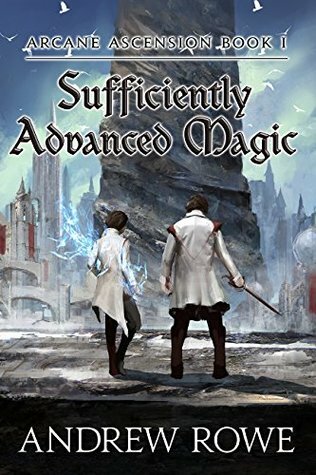 So whether you want to pick out a class and go questing with Sufficiently Advanced Magic, or experience the magical power that comes with owning facial hair in Chaos Trims My beard, watch an empire fall to demons in the Way Into Chaos, learn the power of song and spirits in Tiger Lilly, or go sailing with pirates in Where Loyalties Lie. Maybe you want to exorcise some demons with Devil's Night Dawning, or get into trouble with Jack Bloodfist: Fixer, join a magical road trip with Pilgrimage to Skara, watch the world unmade in the War of Undoing, or see magic return to the world in the Crimson Queen. The giveaway will run for 2 weeks and at the end of it 2 winners will be picked to each receive all 10 finalist books in digital format. Good luck to everyone and thank you for supporting the Self Published Fantasy Blog Off. Just a reminder that Agnes Meszaros runs a rather excellent site full of all things Lawrence. 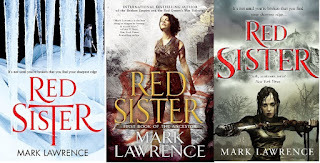 Right now there's an art contest on the go with a chance to win a signed Grey Sister ARC, and another contest with the same prize where all you have to do to enter is comment regarding how you came to read Red Sister. Here are a few of the art contest entries to whet your appetite. Get over there, it's got maps, reader art, back ground info, all sorts! UK libraries pay authors for each loan. Last year UK libraries loaned my books out ~16,000 times. 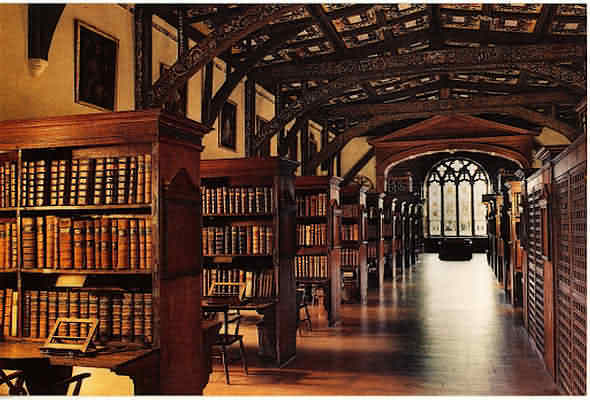 All libraries are good things. They buy many hardback books and that in itself is very helpful to authors. And they provide a great public service, making books accessible to everyone. In the UK (& Ireland) things are even better though. They pay authors (well ... UK authors) a fee of around £0.08 each time one of their books is loaned out. For the year 2015/16 I was one of the 792 authors the library system paid between £1,000 & £2500 through the public lending right scheme. The limit of £6,600 cuts off a long tail of writing superstars who would earn tens or hundreds of thousands under the scheme but does allow a larger rate to be paid, helping out authors with far fewer readers. Over 22,000 authors received money under the system, and even if it's just enough to buy a takeaway, it's always nice to get. Plus it's great to hear that people all across the country are still reading your books. Payments to authors account for less than 1% of the libraries budget in the UK. 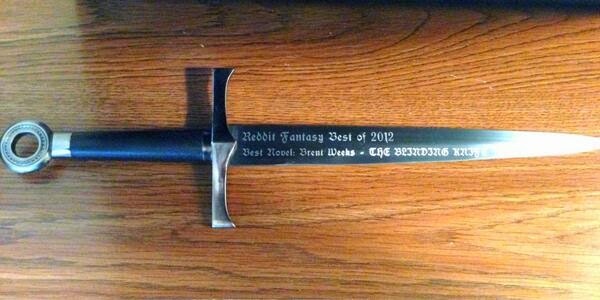 The Stabbies are the voted award handed out each year by r/fantasy in many categories, including Best Book, Best Debut, and Best Self-Published Book. 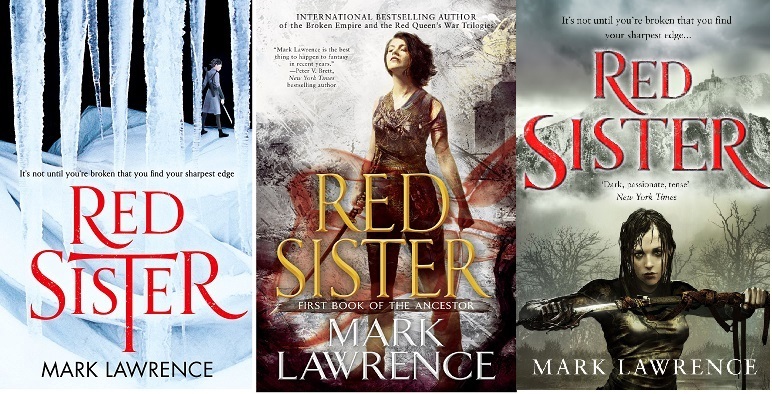 Waking up to find Red Sister had won best novel was a big surprise, something I've only achieved once before with Emperor of Thorns. I also got, for the third year in a row, the Stabby for favourite active author on r/fantasy. So HOORAY! Many thanks to everyone ... I promise to only use them on people who annoy me in any way at all. 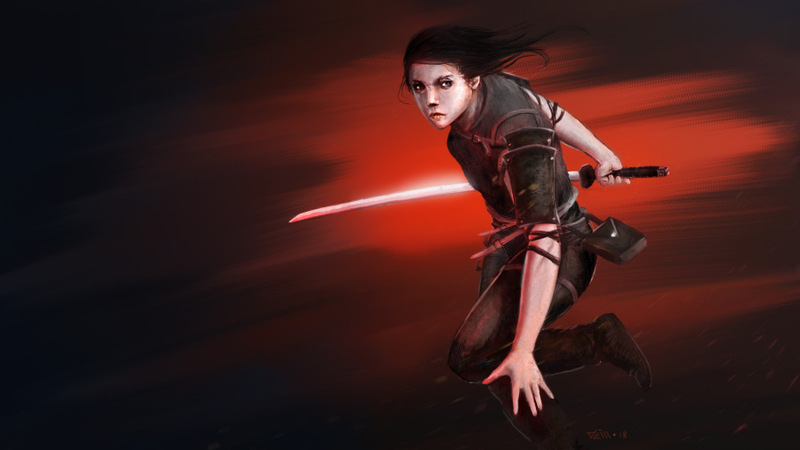 Special congratulations to /u/esmerelda-weatherwax who won no fewer than three Stabbies, including best community member. Check out all these non-book categories on the results link. Since it's clear that I have somewhat of a "home advantage" going on I have decided to retire from the Stabbies for best novel and favourite active author for a number of years. Brandon Sanderson did the same in the best novel category a while back (which is why I had a chance to win) and this year Michael Sullivan opted out of the best self-published category in a similar spirit. See the results of the 2016 Award, 2015 Award, 2014 Award, 2013 Award and the 2012 Award. Reddit r/fantasy has 243,000 members (up from 145,000 last year, 85,000 the year before and 69,000 the year before that) and is the most active fantasy forum on the internet. Well worth checking out - though the interface is a steep learning curve at first. 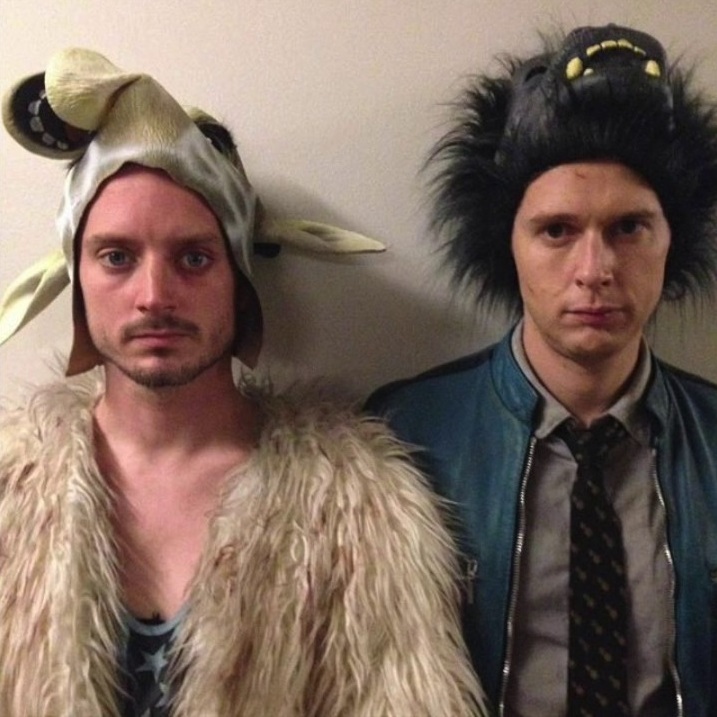 Dirk gently breaks the rules. I've just watched and greatly enjoyed season 2 of Dirk Gently. Or, to give it its full title Dirk Gently's Holistic Detective Agency. I would rage against the reports that the series has been cancelled, but I enjoyed it for what it was and if there is no more I don't feel I've been left hanging. More would be good though. 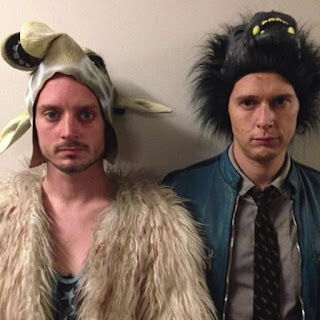 What I thought worth a blog post was the fact that Dirk Gently (by the late great Douglas Adams of Hitchhiker's Guide to the Universe fame), is a story that succeeds by (or despite) taking what to many is a holy cow of fiction writing and shooting it in the face. Dirk Gently doesn't just sneak in the odd piece of deus ex into the narrative for earnest readers to hunt down and decry. Instead it embraces deus ex. It makes it the eponymous Dirk's superpower. The term has evolved to mean a plot device whereby a seemingly unsolvable problem is suddenly and abruptly resolved by the inspired and unexpected intervention of some new event, character, ability, or object. Its function can be to resolve an otherwise irresolvable plot situation, to surprise the audience, to bring the tale to a happy ending, or act as a comedic device. A further evolution means that some will employ the term "deus ex" as a pejorative aimed at essentially any convenient unlikely event that solves a difficult problem. It is often conflated with bad writing or a failure of imagination. Dirk Gently solves ridiculously complex mysteries by bumbling around and waiting for all the pieces to fall into his lap then assemble themselves. He goes for a milkshake and the main witness is the waitress serving him and introduces herself. He needs more clues ... he reaches into a random trashcan and pulls one forth. Fate wants him to solve these cases. The ghost in the machine is not trying to hide ... it's front and center in a top hat and tails doing a dance for us. So how do we enjoy a story in which that enemy of enjoyment, deus ex, dominates? Well, it seems that Douglas Adams has noticed that many (most?) stories employ deus ex and it is just a matter of how well the author disguises that. If you dig deep enough into a great many stories you find yourself able to justifiably ask, "What are the odds that XXXX?" Where XXXX is some event or coincidence without which the whole thing could become untangled. The odds that Hero McHero turns up at Victim Village during the narrow window in which he (or she) could be useful rather than a week early followed by a dull wait or a two weeks late having missed all the best looting, are often slim. Many of the deus ex police fail to acknowledge that the reason stories are told about real events is often that those real events are remarkable and amazingly unlikely. It's the one survivor out of the thousand that drowned in the sinking that gets to tell the story of the terrible storm. It's the lottery winner that the reporter hunts down for their tale, not a random one of the million ticket buyers who lost. It's the person who survived the hanging because the rope snapped that is celebrated, not the pile of corpses with broken necks. However, there clearly is a level of deus ex that becomes wholly unbelievable and (so the argument goes) robs the story of tension, and therefore interest. How can you care that our heroes have run into a dead end alley with a horde of deadly monsters in hot pursuit if deus ex guarantees that something random will save them. An unsuspected portal will appear to another world. Hithertoo unmentioned aliens will lower a ladder from their flying saucer. Or something. And yet I loved watching Dirk Gently and so did many others. Enough at least to get it through a second season and give it an 8.4 average on imdb.com. It works for two main reasons. One is because the main plot provides a wealth of imaginative ... stuff ... along with the temporary adrenaline thrills of chases, explosions and fights, and the big picture reveals itself miraculously rather like those street artists who paint a picture in counter-intuitive order, areas of light and shade first, and finally the whole thing turns out to have been upside down and is righted for the reveal and suddenly there's Elvis! The second reason, the kicker, is that the main story is not the main story, or rather it isn't where the emotional interest lies. Really we are interested in the characters who are being swept along in this maelstrom. We want to know how and if their personal ambitions, concerns, and relationships will resolve. We care about their growth, what they get out of all this, how they will end up. Yes some magical universal hoohar will sort the mystery out and everything will become clear in the end. The key to the final door will probably have been in Dirk Gently's shoe all the time. Deus ex. But that's not what matters. 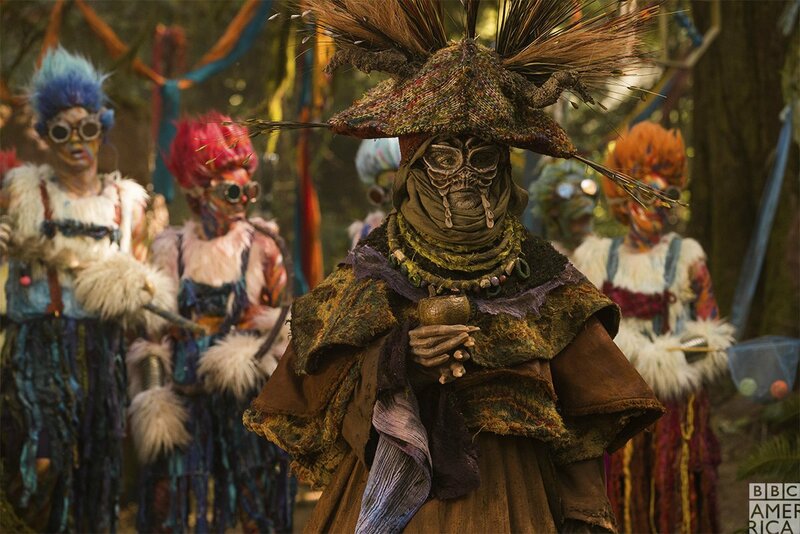 It isn't what matters in many other stories either, but none of them wear their colours so boldly on their sleeves as Dirk Gently's does. And so there is always room for the deus exer to come in excitedly pointing at unlikely events and rather missing that the real case to be solved is not who dunnit but the human story supported by this unlikely scaffolding. This one is a prologue but I myself judge those by all the same metrics as a chapter 1. If you expect someone to read it and keep reading then it has to entertain and hook. The South of the Dreur Woods crawled with men drunk on bloodlust. Thousands of feet scuffled, jumped, and pushed in the muddied snow. Spell-bound and screaming, lusty and raucous, the humans entranced by the Shadow Woman danced and reached. The throng pressed, arms and limbs swinging, eyes too wide, mouths open with screams of worship and pleas of desire. Between stark trees the unclean swarmed and massed, filling the North of the woods. Pale limbs and staggering bodies bumped shoulders, lips silent as death. Dead and rotting, staunch with post-mortem rigour, stiff and animated in jerked spouts of movement, they stammered and waited for the commands of the only voice they would ever heed again. Blood poured in rivers from an altar of solid grey stone at the heart of the Dreur Woods. The snow was stained red with the blood of countless people. There was blood on the trees where dead hands smeared against them. There was blood on the feet of the enchanted men and women who trampled the weak in their earnest straining toward the Shadow Woman. At the head of the altar she stood, glorious hair whipping in winter winds, garbed in a tattered black dress. The crowd cried out to her hungrily. At her feet knelt a pale man with hair the colour of sand, begging and stammering, fists clutched before him as if in prayer. She sneered at him and her hair danced in the wind. A young girl squirmed in the Shadow Woman’s grasp, her hair also the colour of sand. With her one fist in the girl’s sandy hair, the Shadow Woman lifted the girl’s head and exposed her gullet to the roaring crowd. She slit through the girl’s throat, and the girl’s body convulsed and collapsed. Her blood joined the river, and her soulless eyes opened. 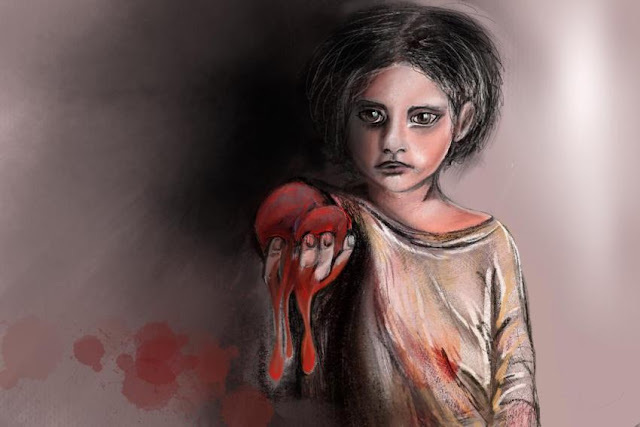 Taking her dead sister’s hand, she walked into the mass of black eyed corpses. The throng of lifeless bodies welcomed her, swallowed her, and the crowd of star struck onlookers roared its approval. Men and women vied to be next, argued, stretched desperate hands to the Shadow Woman’s feet. The Shadow Woman’s laughter rang through the murky woods, and she grabbed the sandy-haired man by the nape of his burnous. ‘Did you think this was the end, Rishtai?’ she whispered into his pained face. The pale man’s muscles bunched and strained against her grip, but in his eyes there was love and loss, there was the ache of betrayal and the hopelessness that comes when a child dies. His tears had long dried up, but sobs wrenched his struggling body. The Shadow Woman’s dark eyes swirled. Pleasure tipped up the corners of her perfect mouth, and she kissed him long and deep. Black inked over his blue eyes and his pleas turned into awe-filled cries of worship. Blood smeared, he grabbed the dagger from the Shadow Woman’s hands. At random he grasped the outstretched hand of a desperate man and pulled him onto the altar. The man threw his fist triumphantly into the air and screamed, but his scream bubbled to a stop when the sandy haired man slit his throat, to the crowd’s raging approval. He smiled at the Shadow Woman and she laughed and laughed. Behind the Shadow Woman three bodies lay strewn in the red snow, three who seemed lifeless at first, but if one looked closer, the truth became clear. Nobody looked closer. Not now, not yet. The first was a man whose long blonde hair sprawled about his chiselled face, unmoving but for his grey eyes. With an earnest gleam to those eyes, he watched the Shadow Woman. Watched and longed. Beside him lay a woman without colour, white as snow, black as night, the colour of rainbows or the sun or the shadows. Her closed eyes did not move, but she held the man’s hand with her legs splayed, like one who had fallen from a great height. The third man lay with his eyes pinched shut. A brown hood covered his face and he held both hands to his chest like a man in a coffin. No breath moved their chests, no blood pinked their cheeks. In a forest filled to the brim with the dead and dying, these three stood out against the crimson snow, but not a one batted an eye or puffed a breath. A cloud of darkness hovered over the Dreur Woods. The Shadow Woman shouted and the cloud spread out of the Dreur Woods towards Aysgarth with finger-like tendrils that reach and searched. It overcame the farmlands slowly, methodically. Like toxic vapour with the mind of a man, it swallowed farmsteads and fields, horses and cows, carefully searching for human hearts and minds to turn. A tendril dug into a farmer’s brain as he sat on his porch sipping at a cup of hot drink. The metal cup clattered onto the wooden porch and rolled down the steps. The man’s heavy boots clunked down after it, but he did not pick it up. Instead, he picked up speed and ran, faster than men that old could run, into the dark cloud and towards the Dreur Woods, with eyes as black as night. The door of his home opened, and his daughter called to him, her pigtails fluttering in the wind. Her calls turned to shouts of fear. She left the door and ran the other way, through the house and out the back door with terror in her eyes, but it was no use. The black cloud swallowed her, and soon her lusting eyes turned to the Dreur Woods and her bare feet ran towards her demise. At last there was someone who saw, who noticed the three splayed behind the Shadow Woman and the red field of blood. Above the earth called Erdil and beyond the land of dreams called Träumenil, higher than the realm of the immortals called Götteril and beyond the end of the reach of the stars, the Great Fathers stood in council. 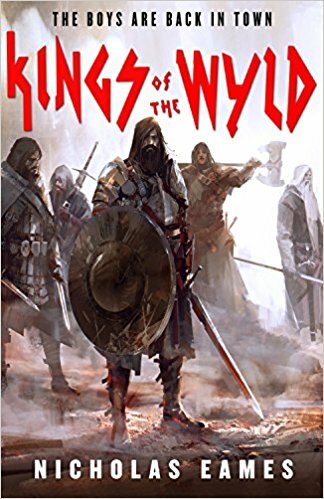 A massacre unlike any other in all of time blotched the North of Öldeim and the Fathers who had created all argued, as they almost never did, about the fate of the world. The Father of Creation insisted that Erdil be blotted out so that they might start over and create a race more malleable than the insolent humans. The Father of Time would not hear of it. He insisted that time be kept pure and that the guilty be punished, but the innocent be given a new life. The Great Father did not speak at first. His eyes were far away on the Dreur Woods and tears wet his cheeks. Every created thing held its breath, even the trees paused in their ever-long dance and the stones ceased their whispers. 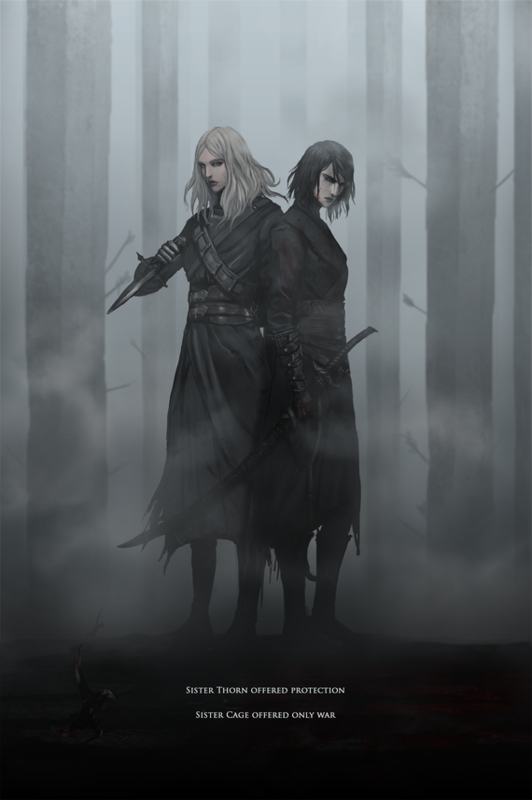 The river of blood paused its flow, a man’s grey eyes closed for a second, two sisters’ hearts beat for a moment, and then the Great Father spoke. I read this to my daughter, Celyn (10), who is too disabled to read books by herself. The Welsh connection is well-played. 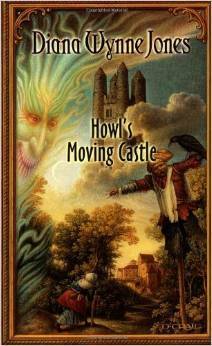 It expands the scope of the book world and the continuing reveals keep everything interesting. My only complaint is that the end seemed rather tortured with so many story-lines converging in ways that felt rather unsatisfying / hard to believe. The (highlight for spoiler) Miss Angorian part, for example, seemed to come out of left-field and made very little sense to me. If I were a touch harsher then that ending would pull this down to a 4*. But Celyn loved it. I enjoyed reading it. And I'm in a good mood. So 5*. I can see why it's a classic, and if you have a 10 year old, point them at it! We've now finished the trilogy and it's quality stuff for the Y end of YA! You can go 'like' my review on Goodreads if you like!